Bi-Metal Bandsaw Blades have high speed steel teeth for a sharper cut and gives you a longer lasting blade. HSS edge contains 8% cobalt. Available in coils or custom-welded to length. High production band for difficult to cut materials such as monels, titanium, inconels and stainless steels, etc. 10˚ High positive rake with Duplex tooth design for faster cutting time. Designed for maximum strength when cutting difficult materials such as super alloys. Aggressor® band saws are an industry leader recognized year-in and year-out for industrial-grade performance. 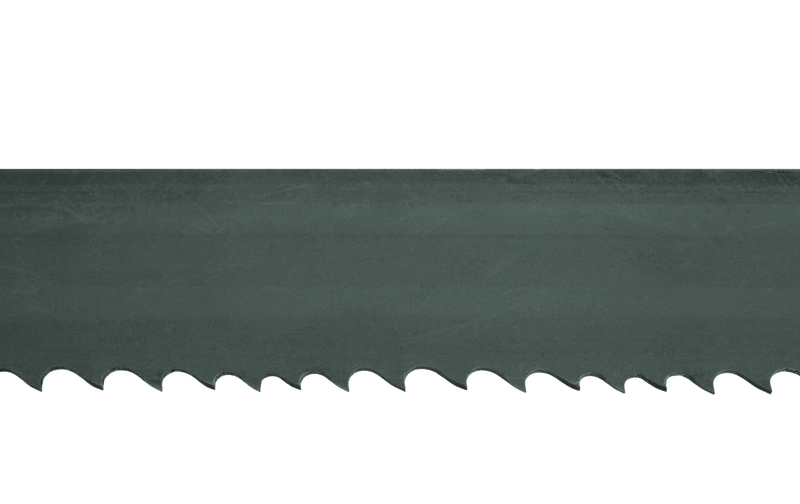 Aggressor® band saw blades range in width from ¼” to 2” and are available in a variety of materials and tooth configurations to meet a full complement of cutting needs.